Home / News / The perfect bundle to get started with Edison! The perfect bundle to get started with Edison! 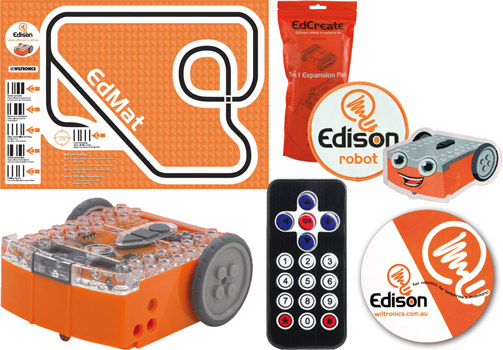 We’ve introduced a new bundle to our range of Edison kits, designed to contain all you need to get started with the Edison Robot and EdCreate. This kit is a great gift for an inquisitive child or as a pack for schools just getting started with Edison! A fun, super easy-to-use and educational robot, compatible with LEGO® bricks! Edison can learn different functions by driving over barcodes (printed on the EdMat) and can be programmed using three different programming environments built for beginners, intermediate and advanced learners. For more information on the programming environments available for Edison, check out You’re a Programmer. EdCreate is a constructor’s kit containing 115 interlocking building blocks, pegs, gears, and other parts. These components can be used to create any of 5 EdBuilds, instructions for which can be downloaded here: You’re a Builder with Edcreate. Or let your imagination run wild and build whatever you want! Note: Supplied with a CR2025 battery for the remote. AAA batteries (not included) are required for the Edison Robots, Alkaline batteries are recommended. 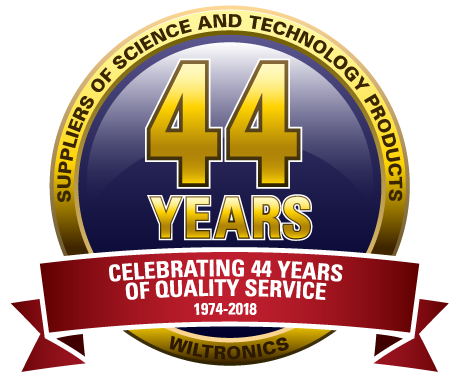 LEGO® is a trademark of the LEGO Group, which does not sponsor, authorise or endorse this website or the Edison Robot or accessories.